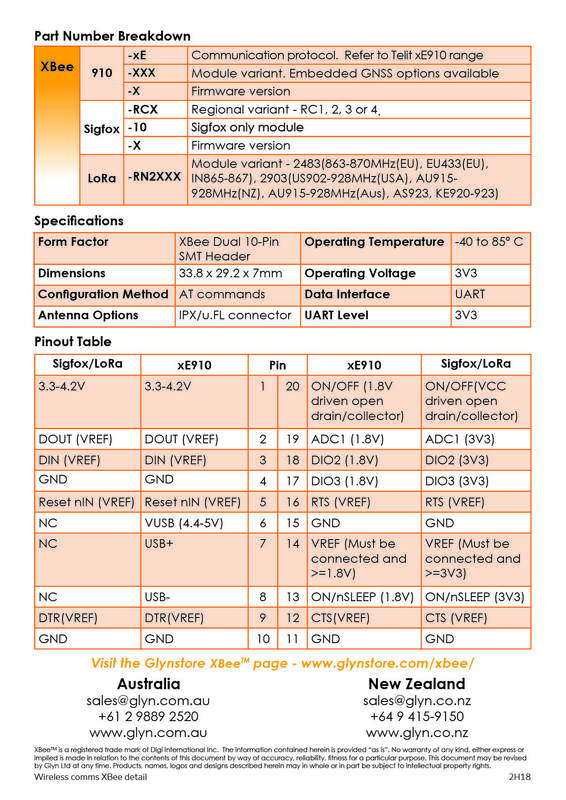 Glyn Ltd have added Cellular, Sigfox and LoRa to the wide range of products available on the Xbee format available from Digi. The Glyn XBee form factor allows for a low cost carrier board that is compatible with the Digi XBee form factor with communication available over UART. The XBee910 supports the xE910 global form factor from Telit, this allows for all forms of cellular communication on the one XBee footprint. From LTE Cat4, Cat1, M1, NB-IoT, 3G and 2G all available on the Telit xE910 format, you will able to be up and running on the most convenient protocol for your application in no time. A micro-SIM on board allows for simple connectivity options to any carrier of your choosing. The XBEESIGFOX supports the Wisol module family of standalone Sigfox modules. For many IoT applications, Sigfox is a desired technology option with ultra-low power and low cost associated with the use of these modules. The Wisol family have modules to support all regional zones allowing you to roll out your application across the world. The XBEELORA uses the Microchip family of modules. The RN2483 and RN2903 provide all band support for LoRa. With the RN2483 covering 433MHz and 868MHz bands, whilst the RN2903 covers the 915MHz band. This includes LoRaWAN specifications AS923 and AU915 that cover Australia and New Zealand. 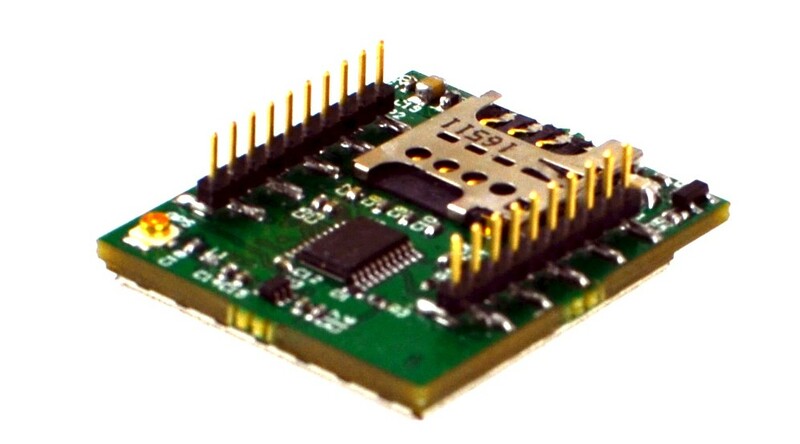 Having the standard form factor on the Glyn XBee carrier boards allows for your product to deployed fast world-wide with whatever wireless technology you require. By just plugging in the appropriate wireless option appropriate for your needs, you will be up and running in no time.